Once uPUN a new New England farm, the cows refuse to let the other farm animals mooooove into the barn. 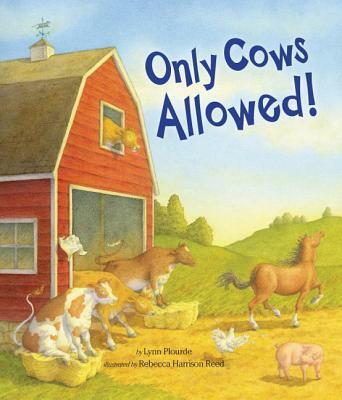 ONLY COWS ALLOWED! But the hens, horses, pigs, sheep, goats, and geese aren't about to let those bossy cows get their way. The first-time farmer doesn't side with the cows either. Animal after animal after animal moves into the barn. But when the farmer throws an all-night barn party to celebrate his new farm, the cows leave without uddering a word. Where will they finally find some peace and quiet? This is an wonderful historical page-turner that will stay with you long after it's ended. It follows a family of Korean immigrants in Japan during the early 20th century, led by the extraordinary Sunja. It was such an amazing book, and it left me emotionally devestated - but it the best possible way. A great choice for bookclubs, too!